Abigail Scott Duniway, acclaimed as “Oregon’s Mother of Suffrage,” was born on October 22, 1834. That makes today a most opportune time to announce that the suffragist newspaper that Duniway published and edited, The New Northwest of Portland, has been confirmed as our final title for digitization in NDNP phase 1! 1.) Confirming that The New Northwest qualified for funding based upon both NDNP project guidelines and the formalities of serials cataloging. Could Duniway’s journal rightly be called a newspaper, or was it more accurately a magazine? This may sound like hair-splitting, but these distinctions truly matter in the world of the library. We were pleased that The New Northwest was judged to be a newspaper, and therefore qualified for inclusion in NDNP. 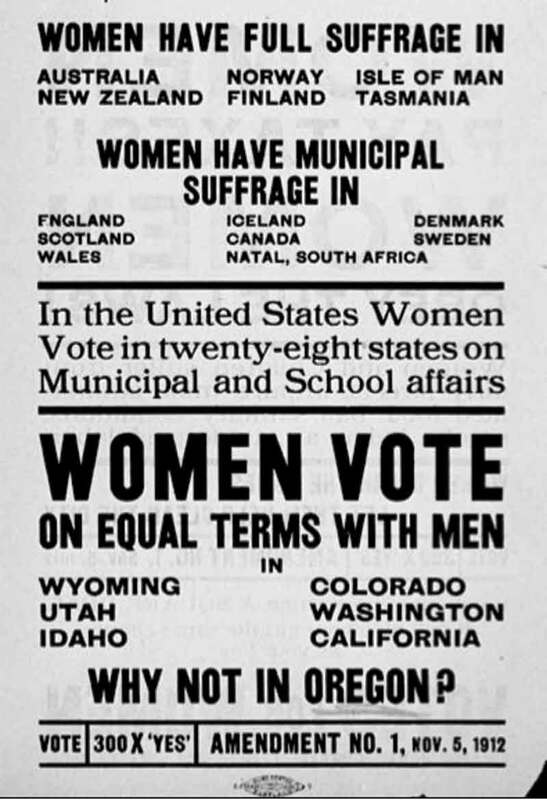 2012 will mark the 100-year anniversary of woman’s suffrage in Oregon. Cultural institutions throughout the state will be commemorating this milestone, and we are very pleased that the paper that was at the forefront of the struggle, The New Northwest, will be available and accessible to the public via our digital resource. In the meantime, Abigail Scott Duniway’s life remains, as always, a fascinating and informative subject. Oregon Public Broadcasting has substantial Duniway web pages that are a great starting place for learning more about “the pioneer suffragist of the great Northwest.” For a wider overview of the history of woman’s rights and citizenship in Oregon, Kimberly Jensen’s article from the Oregon Historical Quarterly is recommended. I went to the database but didn’t see The New Northwest on the list of titles. Has it not been added yet? The New Northwest has just finished being digitized. It is currently undergoing our quality review process and should be added to the database by the end of August.